Wow, what a great concert this was. The full audience in the Main Hall at the Senior School had a real treat. 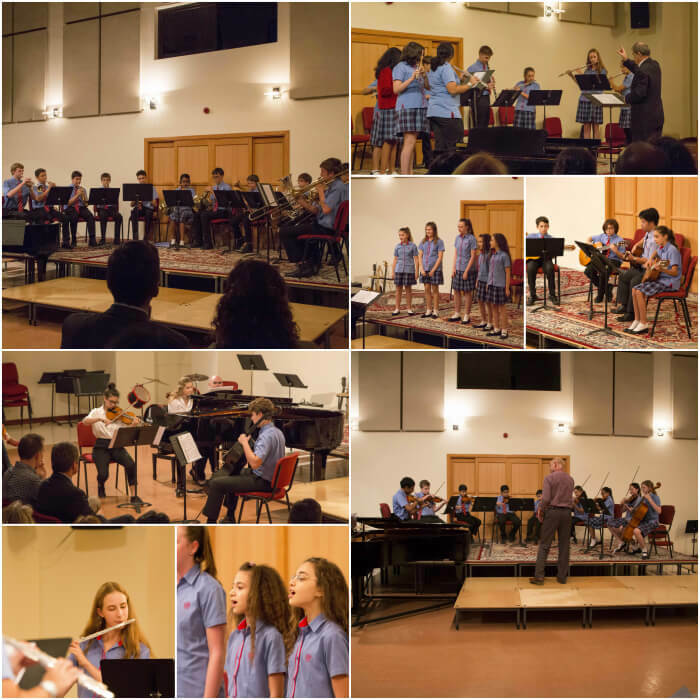 Performances came from all of the smaller musical groups, as well as the St Chris Piano Trio and Jawhara who used the event as their first practice performance before competing in the Young Musicians of the Gulf next term. The Guitars, ably lead by Mr Marcelo, held the audience mesmorised with their playing. The Brass Groups brought a crescendo of sound to the room, encouraged by Mr Holman. 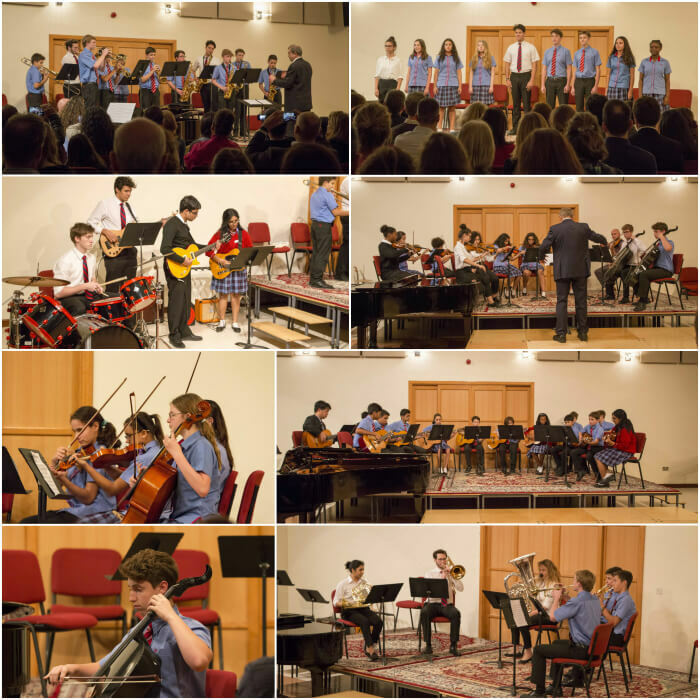 The Strings brought classical and Jazz music to the hall, directed by Mr Kremlicka and Mr Smart. Choirs were represented by the newly formed Chamber Choir led by Miss Williamson, and Jawhara, conducted by Mrs Bourner. Both choirs brought a beauty of sound to the concert. Mr Bagshaw conducted the flutes and clarinets of the Senior Woodwind and he also brought the concert to a close with the lively and flamboyant Big Band. The Chamber Concert represented a true diversity of music from the different groups that rehearse weekly throughout the school year. This concert is always a favourite with audiences and performers alike, and this year’s concert was definitely one to remember. Well done to all of the performers and thanks also to the audience, and all parents of musicians at St Chris for supporting them in their performances.